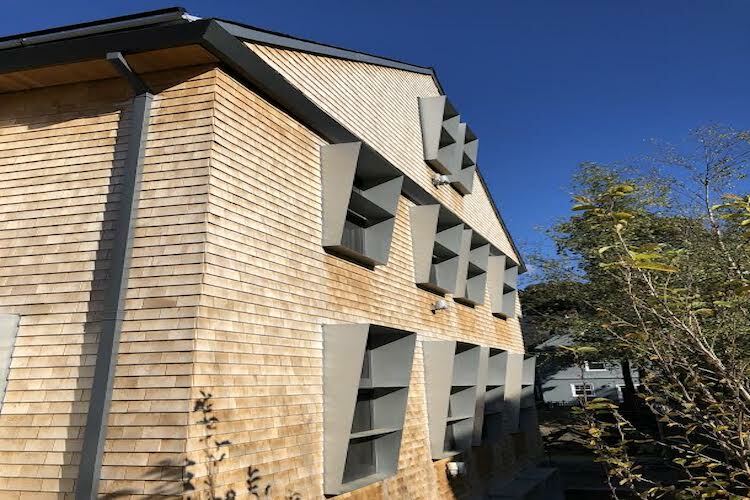 Last month, Harvard unveiled its new, state of the art HouseZero building, designed by Norwegian based Snøhetta, an international architecture firm focused on sustainability. The 1940’s structure was newly retrofitted to be highly energy efficient and is home to the university’s Center for Green Buildings and Cities. 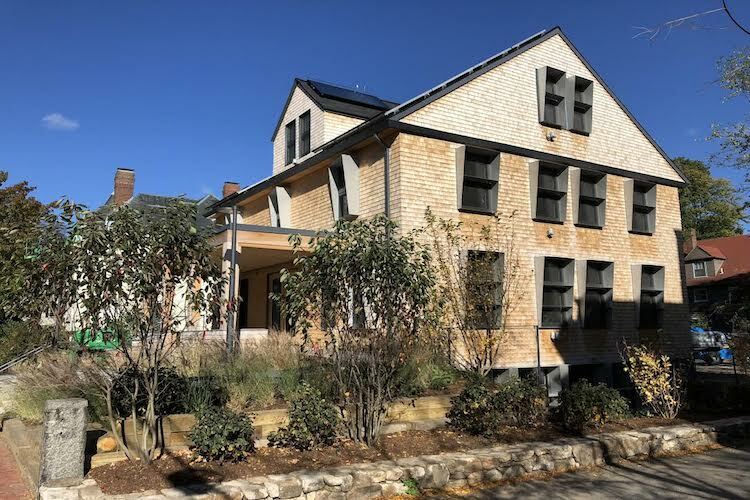 But Harvard’s HouseZero is no ordinary retrofit. 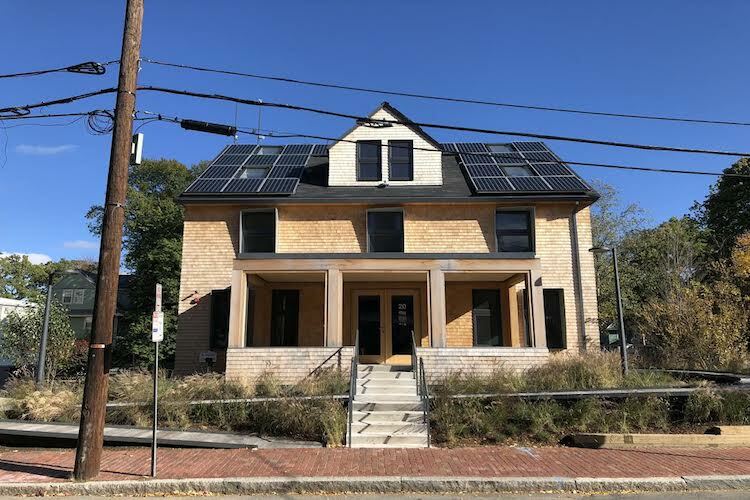 The center’s office will function both as a research facility for sustainable architecture—with hundreds of sensors and thousands of data points—and a case study for the challenges and successes in retrofitting structures towards high levels of passive and more natural high performance. 475 was proud to provide the ecological materials for to this SNOHETTA project in Cambridge MA. To start, the design team used the INTELLO Plus intelligent airtight system. 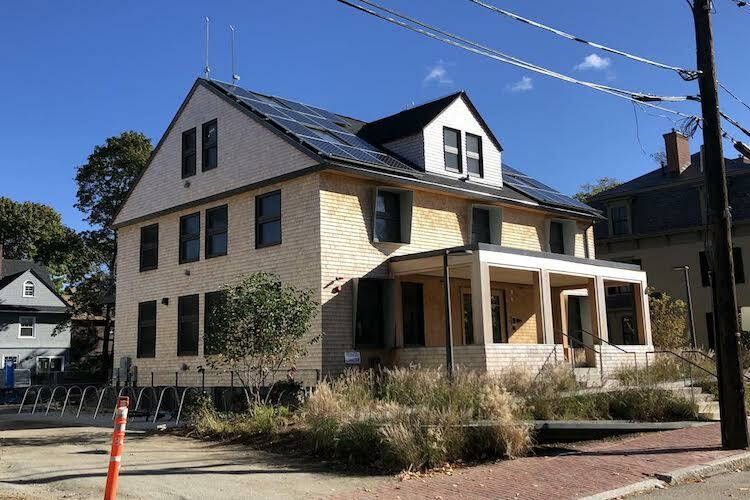 This smart vapor retarder with optimized vapor-permeable curve, protects this historic assembly with durable airtightness by being taped with ProClima's TESCON VANA. Combined with Gutex MULTITHERM wood fiber insulation board - leads to a very low carbon, highly efficient building envelope that helps maintain a durable assembly, with best protection against damages and lowers the heat/cooling demand of the project drastically. Since Gutex is made from wood, for every ton of carbon it contains, 3.67 tons of CO2 are removed from the atmosphere through photosynthesis. 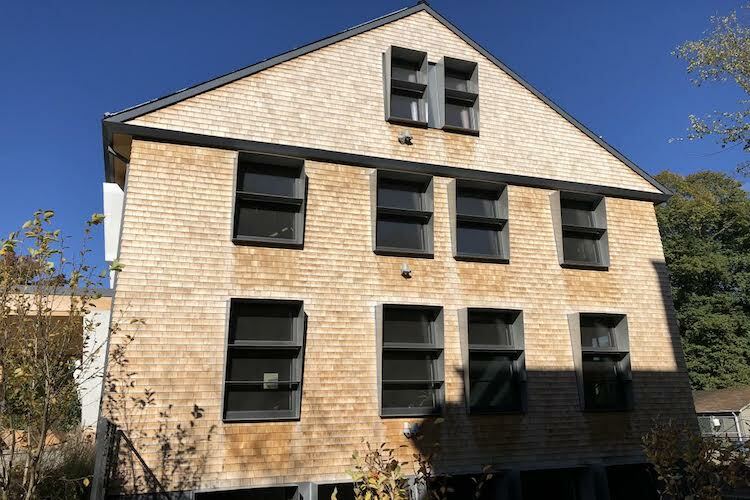 By using this wood product in our buildings, we effectively interrupt the carbon cycle and extend those carbon savings for the lifetime of the building. The wood also buffers moisture and heat - providing excellent passive comfort to the interior occupants - which is what the HouseZero counts on the control the interior climate. We look forward to seeing the data they collect!